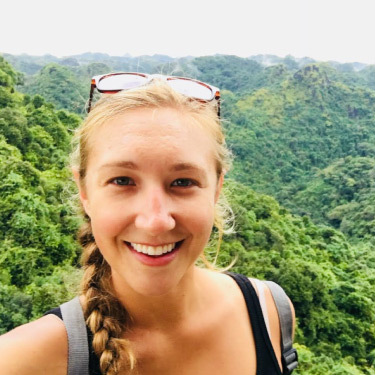 Ashley Daniels grew up in Chicago and graduated from Purdue University where she conducted undergraduate research studying the effects of water quality on salamander growth. With her degree in Wildlife Biology, she began her career chasing birds across the outback and sea turtles down the Gulf of Mexico beaches. However, after a year with AmeriCorps on the Florida Panhandle teaching environmental education, she found her calling in teaching and hasn’t looked back. She spent three years teaching Marine Science Honors, AP Environmental Science, and AP Biology in a Florida public high school, incorporating as many field trips and hands-on learning as possible, but she knew she needed to be in nature’s classroom.. She is incredibly excited to join the Walking Mountains team of inspiring educators, where she feels she can most thoroughly express her passions and where students have the best opportunity for learning and growth in a natural environment. Ashley loves to be outside in every capacity, from hiking to camping, and is hoping to learn rock climbing in the mountains. She has spent the majority of the last year backpacking across Asia, hiking the Himalayas, diving in Thailand, and pursuing orangutans in Sumatra. She aims to build on a global perspective towards conservation, to learn as much as possible from locals along the way, and to spread the message of sustainability.